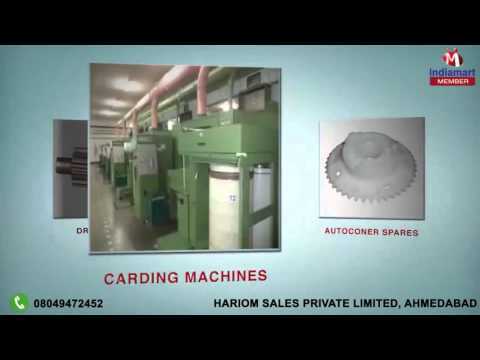 Hariom Sales Pvt. Ltd. is an eminent manufacturer and supplier firm that offers high grade Laminated and Hylam Sheets. We are affianced in manufacturing, trading and supplying a unique collection of Laminated And Hylam Sheets. The product range include Textile Machinery, Spinning Mills and Carding Machines. Known for superior finish and attractive look, our offered products are widely demanded among our esteemed patrons, situated all across the country. Without compromising with the quality of our products, we have reasonably priced our products by following unmatched price management policies. Over the years, we have been successfully fulfilling the demand of our esteemed clients. Our offered heavy duty insulated products are provided with various specifications to meet the demand of several industries. We have garnered a huge client base across the market. We put endless efforts to attain the maximum satisfaction of our clients by delivering the consignment within the promised time frame. We not only commit but follow fair business policies in all our business operations. Quality reflects in our offered products and this aid us to become the preferred choice of our clients.